This product is an Excel worksheet with detailed 2015 Tech Vendor Client Success Ratings for 62 tech vendors. We surveyed 800 IT decision makers from large companies and asked them “How helpful are these IT vendors in making sure that your organization successfully achieves your desired value from the products and services that you have purchased from them?” Responses are on a scale from 1 (not at all helpful) to 7 (extremely helpful). 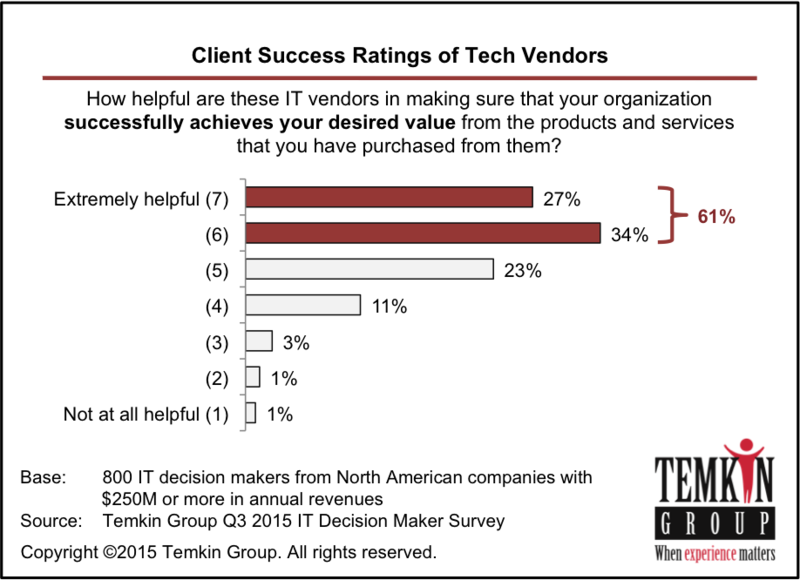 Temkin Group created the Client Success Ratings (CSR), which is the percentage of respondents who answered 6 or 7. As you can see below, the average CSR is 61%. Which tech vendors are the best and the worst? 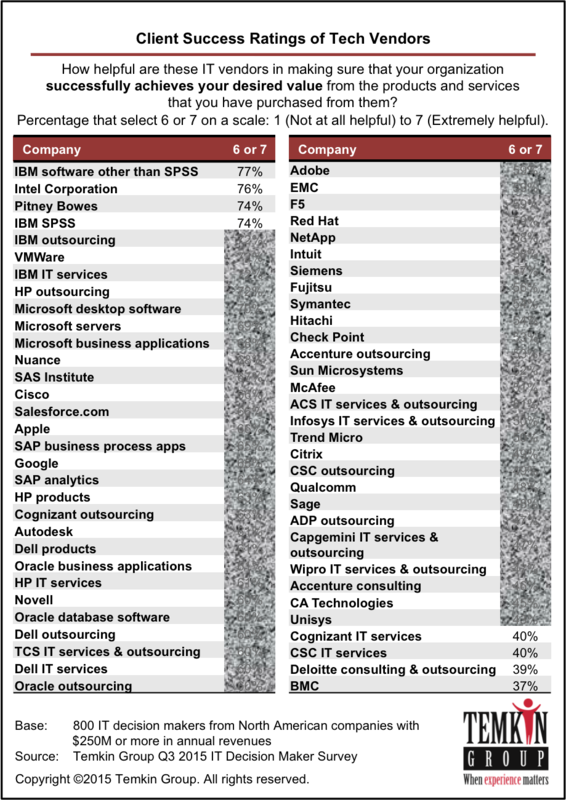 We examined client responses for 62 tech vendors and found that IBM software, Intel, IBM SPSS, and IBM outsourcing have the highest CSR. BMC, Deloitte, CSC and Cognizant have the lowest CSR. Bruce and his team at Temkin Group are real pros. In two days they helped me feel like a customer experience expert! Incredibly simple, clear instruction, founded on proven principles and practices. And best of all – the session was collaborative and FUN. Thoroughly recommend this session to anyone who wants to become knowledgable about customer experience in record time.